The final regular season games in the Premier include the fight for the #1 seed out of the South between the Warriors and Blitz. It’s prediction time! The big boys clash on the final game of the regular season. With both teams having secured their respective playoff positions this game could be a throw away. 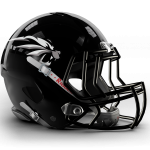 However, with the ‘Nix still undefeated, the Nighthawks could look to ruin their spotless record. As the season has progressed Merseyside have gone from strength to strength. They may have struggled earlier on in the season but have found their footing as the weeks have rolled by. 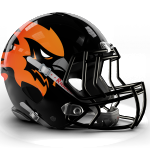 The Nighthawks defence has improved over the season, the Nighthawks DBs had a great game against EKP, with Alex Eager and Andy Taylor both causing problems. The entire defence will need to be on point if they want to stop the most explosive offence in the North. The Phoenix have already secured the conference championship and post season football, so the result doesn’t matter. However you don’t get to where the ‘Nix are by taking games lightly. There is not doubt Tamworth will be looking to win this game, behind QB Pat Daley and his explosive offence. James Hossack, Deji Alli, Adam Hope and Elliott Walters have had great seasons so far and will be looking forward to the challenge the Nighthawk pose. On the defensive side of the ball Jake Harbon has played solidly whilst battling through injury. The ‘Nix looked posed to go undefeated and cause some #HAVOC in the post season. This will be a good game. Both teams have strong offences, however the nighthawks defence may have some issue with the Nix offence. Nix to win. The Wolves came into the conference and played solidly cementing their place in the top tier for one more year. Sadly someone has to be the worst and the Wolverines have taken that spot. The Wolves will look to come out in their last game of the season and finish in style with a win. They have shown a lot of promise, scoring in every game they have played. Some highlights of the Wolves first season of Premier ball was their Week Three thrashing of the Sheffield Giants, almost defeating conference champions Tamworth at home in Week Six and the thriller in Week One, the game that ruined by prediction record… cheers lads. 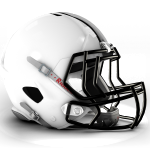 As for the Lancashire Wolverines…they have struggled. Getting thoroughly beaten in their first game probably didn’t help momentum much, coupled with some close losses the Wolverines just didn’t seem to catch a break all season. Alas, someone has to go down to Division One but the Wolverines can take this opportunity to grow their programme and come back swinging next season. Oh Sheffield. They seem to always sneak out of relegation. Jokes aside, once the Sheffield offence started to click they did look as though they belong with the big boys. As for the Pirates, they can draw a line under this season and continue to build using their successful junior and youth programme. The Pirates are set for the future and this season is most likely a speed bump in their bright future. The Pirates have struggled the second half of the season, only winning one game in their last six. This may be due to the fact they have a young squad who are still developing or they just ran out of steam. Whatever the issue I doubt they will have fixed it before the last game of the season. However, the Pirates can go into the off season knowing that they have a young talented squad who with some time can be strong. The future is bright for the Pirates. The Giants are coming into the game with a full head of steam, turning their season around and avoiding relegation. The Giants look strong, although they didn’t win their last game, they did stretch the Nighthawks to almost breaking point. It will be interesting to see how the giants treat this game. Will they come out all guns blazing or maybe start looking into the off season. 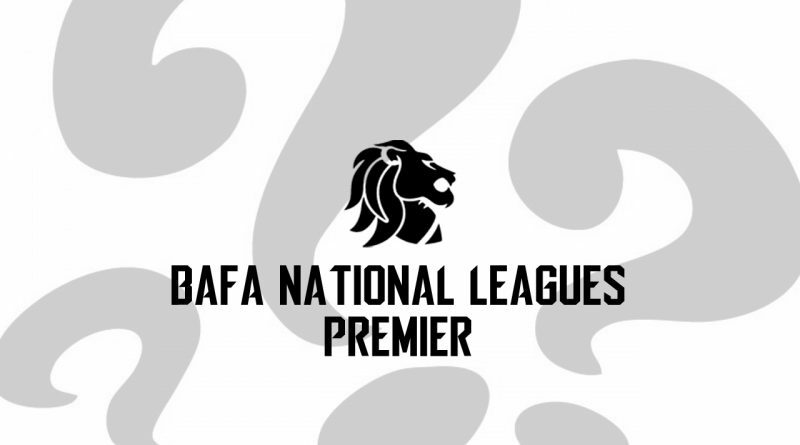 Will they be looking at the teams in Division One and how they stack up for next season? The Giants walked a fine line this season and they will not be looking to do so again. A game which has no real weight to it. It does not affect either team much other than going into the off season with a win. Sheffield are coming into the game confident and that is the reason I back them to win. Please don’t let me down… Giants to win. This is the big one, the decider, who gets the top spot and comes away with the home field advantage in the playoffs. If you thought that this game would be a slight battle, after all both teams have already made the playoffs, then you’d be wrong. This weekend will be a fierce and tough competition where both sides will get the opportunity to showcase what they’re made of. The Warriors have proven themselves to be the toughest team in the Prem South after their last game against the Blitz where they won by 22 points, where the Blitz only got the win by 1 point earlier on in the season. With a plethora of talented players on the Warriors roster this weekend we can expect them to play their starters from the get go. The Warriors may however ease up on the pedal for the second half if they can get a strong early lead as they may want to keep their cards to their chest in case of a re-match in the Britbowl final. The Blitz have shown themselves to be strong competitors for the Britbowl trophy this year after their early season win over the Warriors which saw them take the lead in the Prem South for a fair few weeks. This weekend will be no different as they head South of the river to take on their long standing rivals. 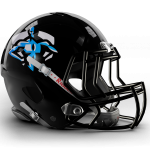 The Blitz also have some talented guys on their squad and will be aiming to utilise the strength they have, especially on their defense, to stop the Warriors from taking the lead. If they can keep the points conceded to a minimum and hope their offense can get more than the average 13.5 points they may have a chance at beating the Warriors and taking that home field advantage. As much as I enjoy seeing the underdog win, I just don’t think the Blitz will have it in them this weekend. Warriors to win. This weekend draws the season to a close for both of these teams having not been able to make the playoffs, the Knights shocked the Nation (and me) last weekend after their win against the Saints. With Kingsley Ejiogu making a surprising return to the Knights it seemed as though his presence was definitely welcomed by the team as he took many carries and helped the Knights just as it appeared they weren’t going to win a game this season. This weekend they host again and welcome the Aztecs for the second time this season. This game should make for extremely interesting viewing if Ejiogu can make some plays, the Knights may have a chance to get a second win this season. The Aztecs are hoping to see out the season with a win on Sunday which will give them a 5-5 finish this year. After their win on Sunday against a 28 man Bury side, which saw 3 ambulances turn up and the Saints team finish the game with only 15 players, the Aztecs should be hoping to take a full squad with them on Sunday after a few injuries in recent weeks taking a few key players out of the game. If the Aztecs defense can stop the Knights run game and keep Ejiogu out the endzone they should be able to get the win this weekend. I think this may be closer than both teams would like but I’m backing Aztecs for this one.